Hello there! This week I have been back in Suffolk for Easter, and one of the things that I knew I had to do was to go to the beach as that's the one thing that Sheffield is lacking in. As we always go to Southwold (long-time readers you may remember my previous trip posts to Southwold) we decided to take a trip to Dunwich and to take Tilly along with us! Tilly absolutely loved the beach and I'd love to let her off the lead but I know it would only take her to see another dog and she wouldn't return! She was a bit wary of the sea and did a moonwalk away from it when she got too close, but loved being able to run around and to see somewhere new. We had such a lovely afternoon that I thought I would share some photos of the trip with you! Hello there! As Easter is less than a week away of course I had to do some Easter-related baking. I thought why not combine creme eggs and cupcakes together? And this is how this recipe was born. 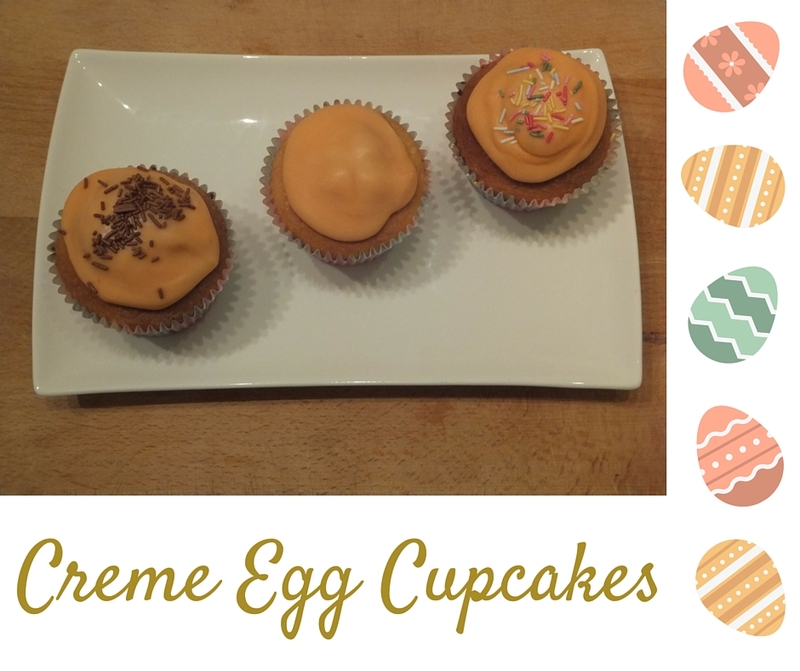 This recipe made 8 cupcakes, which was perfect as that was how many mini creme eggs were in the packet! Hello there! 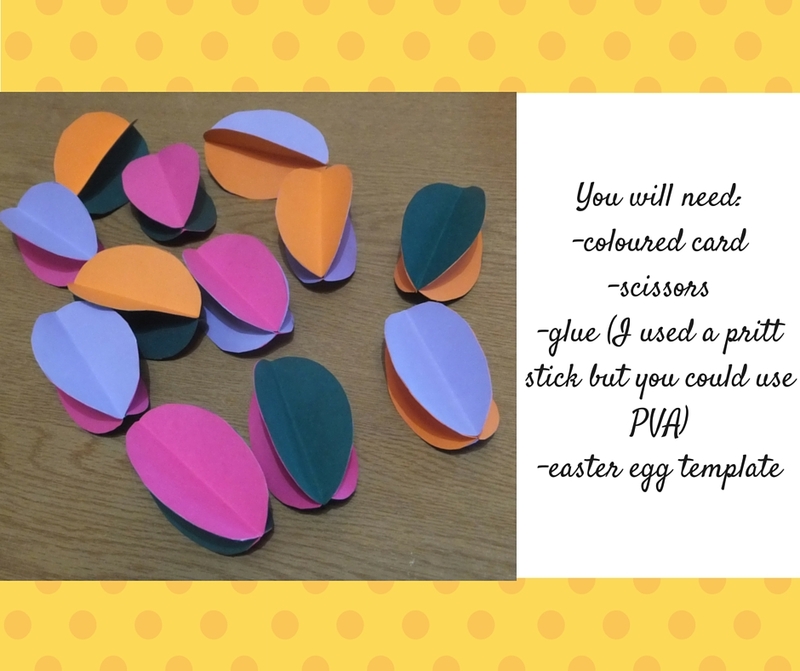 As Easter is a mere two weeks away, I thought I'd share with you this really simple and easy DIY for some eggs made out of card. I used plain card as that was all I could find in the shops near to me, but these would make lovely decorative pieces if you had some patterned card. I'm going to be using these for an easter egg hunt date night with Tom this week, but they're versatile enough that you could use them for an array of things. I think children would love decorating the card and then creating these and putting them about the house! Hello there! Now today's post is going to be something that's a bit different. A couple of weeks ago Urvashi nominated me for a 'Liebster Award' which is way of showing recognition from yourself to other bloggers that you read, who inspire you, and who you want to share with your own readers! I think this is a great way to find new blogs to read and to show your appreciation for blogs you currently read. So the basics are that the one who nominates you has answered 10 questions, and they then make 10 new questions for their nominees, so this will be a nice way for you to find out some more things about me! So if you're new here, (welcome) my blog is an array of things. I suppose I would class myself as a 'lifestyle' blogger, but that's just because I seem to cover everything! I love writing baking and crafting posts, as well as posts about trips I've been on, and general ones on what I've been up to. How do you add a personal touch to your blog? I would say that I write my posts in a way that I sounds if I was talking to a friend (I hope that's true?!) and I like to share different aspects of my life, if for nothing more than to be able to look back on in years to come. I love looking back at my posts and being able to remember different things that I have been up to. So far, which one of your blog posts do you like the most? Now, this is a tricky one. I don't think there's one particular post that I place above the rest, but series-wise I loved doing the baking and crafting festive series back in December. My most popular post to date in terms of views is my post on lemon cupcakes, and I find that baking posts always go down really well and that I really enjoy making them! What makes you thrive in life? Now I'm very much someone who likes to stay in the cosy comfort zone that I am used to, but I would say that the best way to gain new experiences, is to simply take new opportunities and try them out. Sure they might not work out, but 95% of the time that I've tried something new I've actually really enjoyed it and gained something from the experience. A place where I can share different bits of my life to look back on in years to come. Who were your favourite bloggers of 2015? Rather than write a massive list, these are my top 3! I don't think there is a particular song to describe me, but I think if people think of me in terms of music they'll either think of a disney song, or a classic 'pop tarts' (90's/00's) song. Does Jess count? I used to be Jessie back in the days of middle school, but one day I decided it sounded too cowgirlesque (thinking of Toy Story) and I have been Jess ever since. I hope this doesn't just have to be one place. I'd love to explore the different cities of Europe, and not just the capital of countries. I'd really like to travel to India/China/Thailand one day, go to Australia and New Zealand, travel round the USA, go to places like the Bahamas, Mauritius, South Africa...as you can tell I'd quite like to just go everywhere! I don't think I would be the type of person to go travelling for a whole year or anything, but rather holidays/extended holidays depending on how far I had to travel, and of course I'd bring Tom along with me! Again, this is a tricky one as I wouldn't say I have particular favourites, I find that it really depends on my mood as to which film I want to watch. My favourite rom-com has to be 'How to Lose a Guy in 10 Days' simply because of Matthew McConaughey. I love Harry Potter, Disney as a whole, Andrew Lloyd-Webber musicals...the only type of film I refuse to watch are horror films that are psychological based. I'm fine with blood and gore, that doesn't scare me, but with things like The Woman in Black or Sinister, I have to leave the room. Although I say I love Harry Potter (plot spoiler), I can't watch the bit when Voldemort returns in The Goblet of Fire; once when I was ill I put this film on, fell asleep, had a dream(nightmare) where I was in the graveyard with Voldemort, woke up and it was that exact moment in the film. Ever since then I haven't been able to watch that scene! 1. What three words describe your blog? 6. Any tips for someone wanting to start a blog? 8. Out of all of the places you have visited in your life, which was your favourite and why? 9. Favourite flavour of ice cream? 10. Where do you see your blog heading in the next year? Answer the questions and make some questions for your nominations! 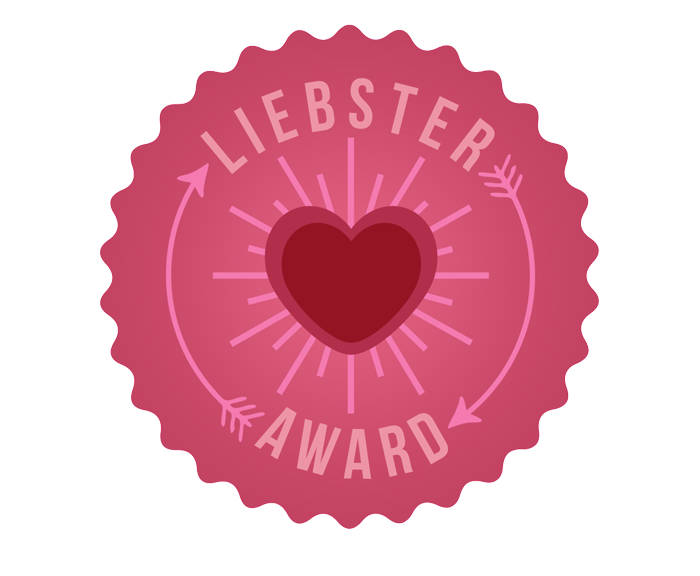 Let your nominees know you've nominated them! 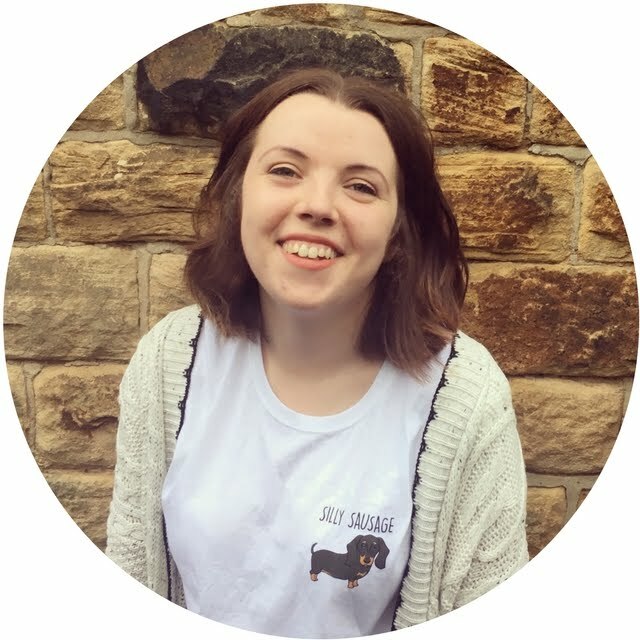 I hope you enjoyed this slightly different post and learnt some more things about me! Are there any blogs you think that I should check out?